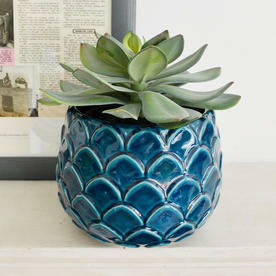 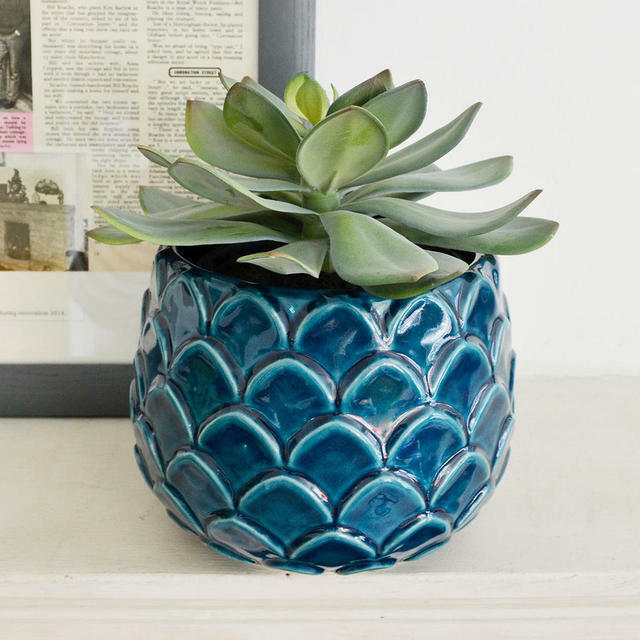 An easy way to add some drama to your house or conservatory with this stunning faux succulent. 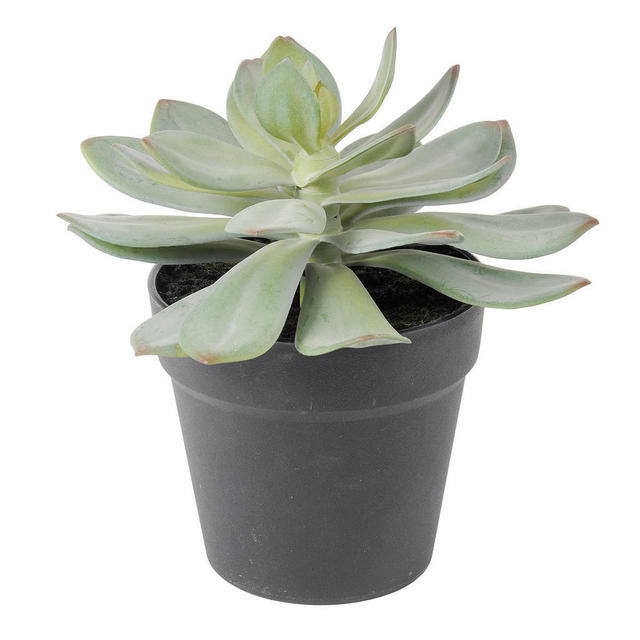 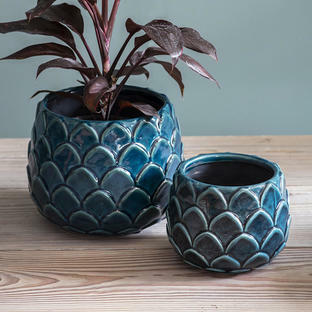 The plant is potted up in a black plant pot, which is sturdy enough to hold the plant. 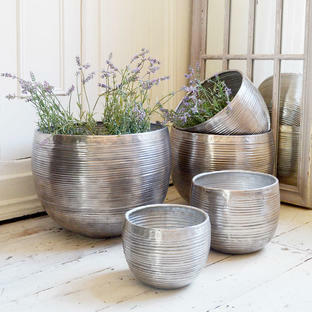 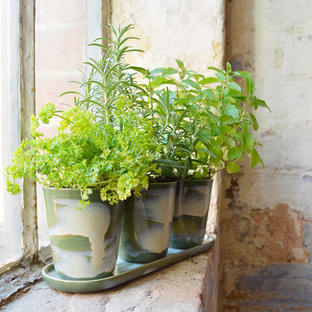 Or can be easily dropped into an alternative planter if required. 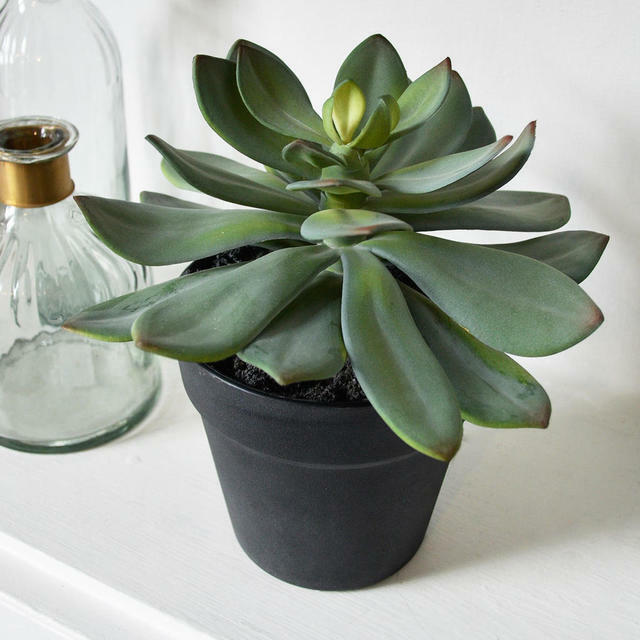 Faux succulent in black pot.